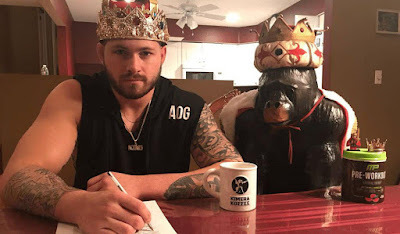 Gordon Ryan — The Danaher Death Squad veteran and multiple division EBI Champion — has just signed an exclusive contract for 2018 with Absolute Championship Berkut Jiu-Jitsu (ACBJJ). ACBJJ posted the news on their social media account. Gordon has talked about transitioning to the Gi for a long time. So now Gordon Ryan is an ACBJJ fighter in the 95kg division.